Over a year ago, I wrote ‘The List.’ It was blog post about winning the lottery, or more specifically, what I would do if I won the lottery. With tonight’s jackpot listed as $540 million or a half billion, it was hard not to think about it as I drove home, yesterday. I mentioned to grandpa and grandma that a lot of good could be done with that much money and it could. So, I decided to dust off last year’s post, revise it, and repost. The other day, I went to the grocery store with a list, Beth had given me a list, which included everything I needed. I ran my errands and drove to the store. I got out of the car, forgot about the list and left it inside the car, where it was safe, and went inside to shop for groceries. I mentally checked the list and added items to my cart as I walked down each aisle. I checked out, paid, and drove home. Of course, when I walked in and unpacked the groceries Beth asked where the sour cream was and it was exactly where it should have been – still at the store on the shelf, where I had left it. It was on the list but evidently, it never made it to the List I used. If it were the first time, I suppose Beth could have forgiven me, but this happens all the time; I make a list or am given one and don’t use it. Beth keeps lists for Trader Joe’s, Target, and the grocery and is good about sticking with her list when she shops. I am a bit more impulsive, but that is my personality. Nevertheless, I do make lists, even if I do not always follow them. I have a reading list, a ‘to do’ list, and a list of items I want to accomplish on our model railroad, to name a couple. Over a year ago, in The Lottery post on January 2, I alluded to what I would do if I ever won big in the Lottery. It is easy conversation, quick to think about among friends and or even casual acquaintances. Buying the ticket and thinking about winning is enough to ease the pain of a long day at work, a hard drive home in the snow, or the last day of vacation. Honestly, I have thought about it more than once. Each time making a mental list of what I would spend the winnings on, though I have never taken the time to write them down. They are in my head and stored in my imagination. Several years ago, the church we attend took on a construction campaign to repair the church and upgrade the facility from its original 1930 construction. 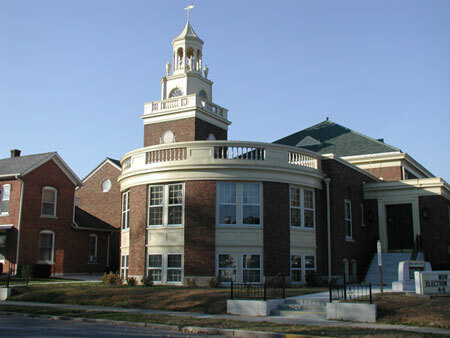 The organization itself dates back 1853 and we celebrated 150 years of worshipping in Wheaton in 2003. At the time, there were plans to add more space including meeting rooms and offices; but funding was limited and it was labeled Phase II. Our church does marvelous things for our family and the community; including sponsoring the William’s Boy Scout troop – which dates back to 1912. Our church and the Boy Scouts are on the list and I would look for more ways to help the church continue to grow and give back to the community. Beth and I were married in her hometown of Versailles, Ohio in the same church her parents were married in 1947 and both her older sisters were married. William and Olivia were baptized in the church and the Beth’s parents still attend regularly. 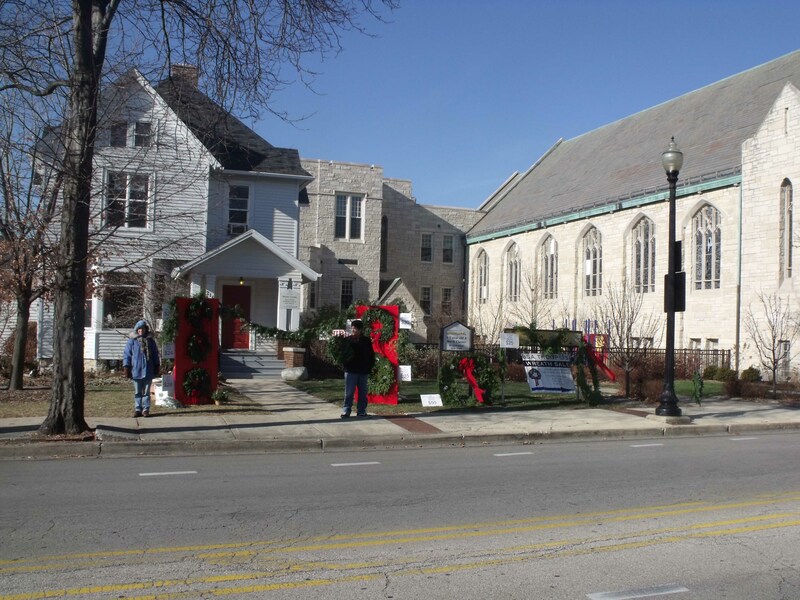 The church was established in the 1840s and the building itself in 1926 long before air conditioning and it continues to serve the community today. We would find a way to make air conditioning possible for the Versailles United Church of Christ. Next on the list would be giving back to the community and pet projects of mine. I have a soft spot for places historical and I am worried that we will tear down America’s history and turn it into strip malls, parking lots, or worse. I see it in neighborhoods and everywhere I have travel, sadly, all of the new places look alike, no matter where they are. Also on the list is Hanson Hills in Grayling, where the cottage is. Hanson Hills was the second winter resort in the Midwest when it opened in the 1929 under the name ‘Bear Mountain’. Since its heyday in the 30s, 40s, and 50s it has taken a backseat to other resorts that are newer, bigger, and fancier. The Grayling Recreational Authority operates it and funded by taxes and fees, and therefore modernization and expansion in a state that is the poster child for a state in decline, is just a dream. Hanson Hills is perfect for our family and William, Olivia, and Beth enjoy it. I even tried to ski last winter and enjoyed it, even though I spent more time on my rear than upright. Hanson Hills is on my list and I would find a way to make Hanson Hills a better place for future generations and families like mine. 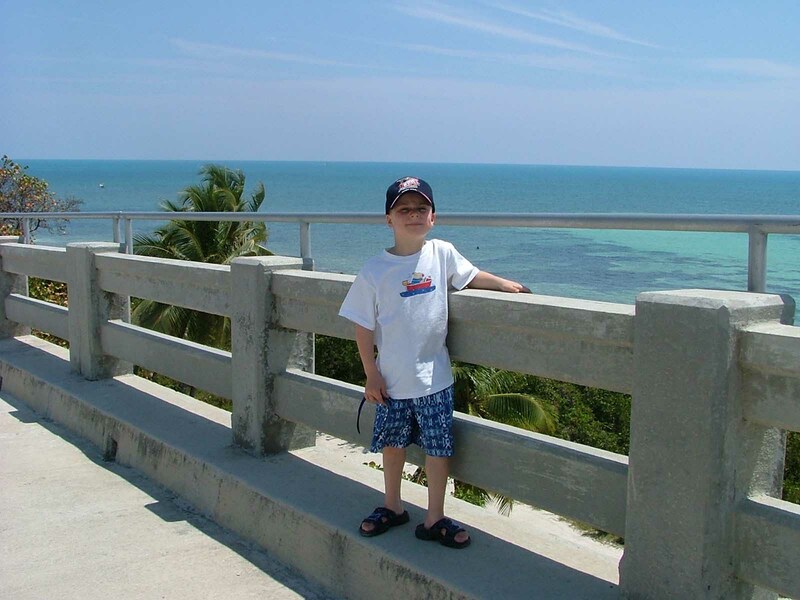 Ten years ago on Spring Break, we visited the Florida Keys. It was a wonderful trip and my first trip to Florida. Growing up along the Gulf Coast I was used to the muddy waters of Galveston, Freeport and Surfside, and Matagorda and I had never visited Florida. As we drove down Highway 1, on our way to Marathon, the beauty of the turquoise blue water and shallow reefs entranced me. The highway runs parallel to an old highway as many of our highways do and many of the old bridges remain. The old highway was constructed atop the remains of the Overseas Railway connecting Miami to Key West and a deep-water port. The railway was the project of Henry Flagler and his Florida East Coast railway. Construction began in the early 1900s and finished in 1912. The project included constructing bridges between islands, adding land where it was needed, and was incredibly expensive. By the time it was finished, the project, nicknamed ‘Flagler’s Folly,’ was overshadowed by the Panama Canal and it never turned a profit. The railway continued to operate taking tourists to Key West until Labor Day 1938, when it was destroyed by a hurricane. Hurricanes are a part of Florida and the railway survived several hurricanes until the Labor Day hurricane of 1938. Much of the track was washed out and destroyed in the upper middle keys; and the railway was abandoned. In the 1940s, the Florida Highway Department built a highway on the old right of way and used the railway bridges. When the highway was modernized and rebuilt in the 1980s, they constructed the new road parallel to the old highway and most of the old railroad bridges were left standing. They remain as a reminder of the history of the Keys and Flagler’s legacy. 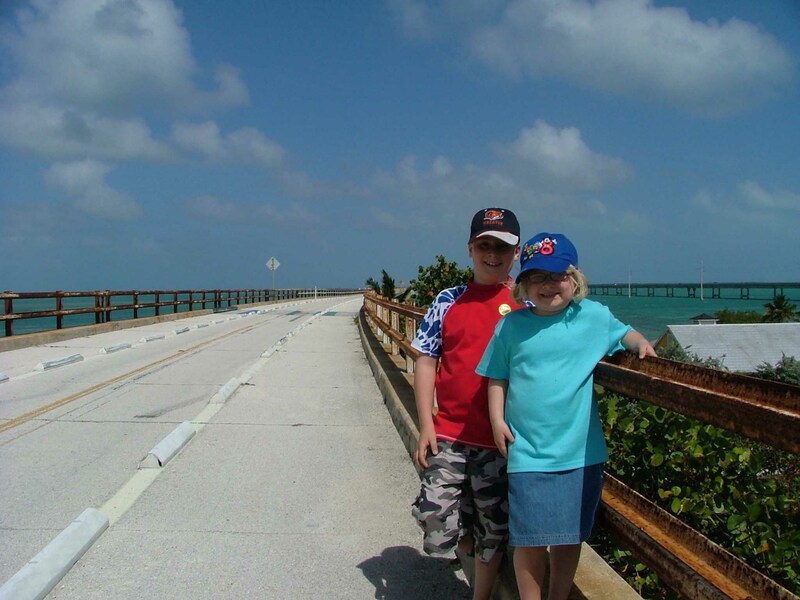 One of the original bridges, Seven-Mile Bridge, just south of Marathon connects it to the lower Keys and Key West. In the middle of the bridge is a small island, not more than ten feet above sea level, which had been used a work camp during the railway construction and was later converted to a maintenance facility once the railroad was completed. It is called Pigeon Key and the original buildings remain are protected by the National Register of Historic places and are maintained by a preservation society. The society staffs the island, conducts tours, and maintains a marine biology station. It is quite a project and it is always looking for benefactors. The Pigeon Key Foundation is on my list of organizations to fund. There are so many other projects that I have thought of but do not remember, right now, which are worthy of inclusion on the list. Of course, there is scouting – girls and boys and many other organizations, funding scholarships, and other learning to say yes to some and no to others. What is on your list, what good could you do with almost a half billion?